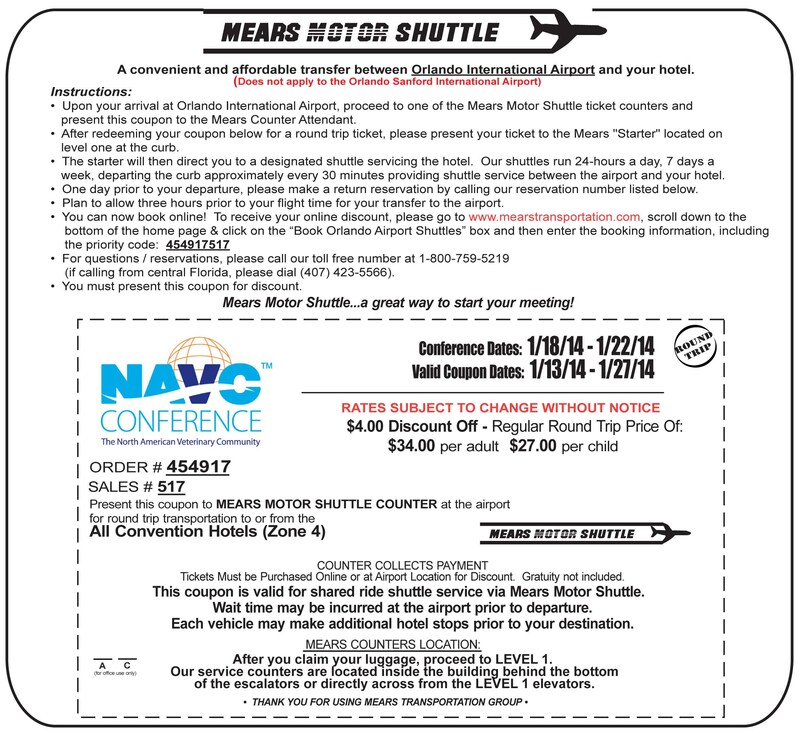 If you’re going to be traveling to the NAVC conference in January, you should make sure you have adequate transportation between the airport and the hotel. 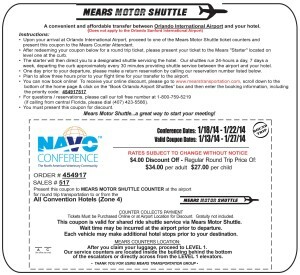 You can do that when you utilize this MEARS MOTOR SHUTTLE COUPON. 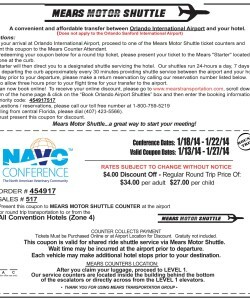 This coupon entitles you to a $4.00 discount off the regular round trip price and it’s good for all convention hotels in Zone 4. Of course you will have to prearrange everything, but there’s more than enough time to get all of that situated. Making sure you have transportation is a really big deal, especially during a conference. Knowing you are covered in that regard takes a great headache off a lot of things and you can focus on getting your airfare and hotel rooms taken care of, not to mention your conference reservations. Take the time to get your meeting in order by starting with getting the priority codes and everything ready for your trip. Mears Motor Shuttle is a very reputable company, and you should feel that you are in good hands. The North American Veterinary Community (NAVC) Conference is a very popular organization that promotes the care of animals. This is a very important conference as the care and welfare of animals and their future is sketchy. The medical community, as it relates to animals needs to stay abreast of changes and new procedures and techniques. If you’ve never been to the Orlando Airport, knowing you have a safety net with Mears Motor Shuttle should help you breathe a little easier. Happy travels! Good for the NAVC Conference in January 2014. Present coupon at the Mears Motor Shuttle counter, then present ticket to Starter on level on at curbside.